A 63-year-old woman is facing multiple charges after allegedly breaking into her neighbours’ homes and stealing cuckoo clocks. Authorities were called to Oklahoma City Housing Authority apartments about two burglaries. Officers learned that both cases involved cuckoo clocks. 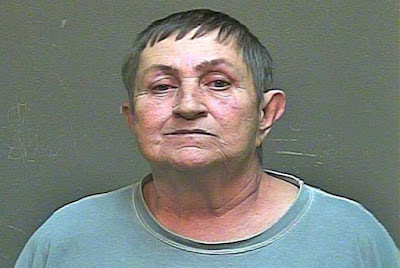 Surveillance cameras allegedly captured Deborah Bowen using a master key to get in to the victims’ apartments and leave with an item. Apartment officials told police that Bowen’s mother used to work the complex and had a master key. According to the arrest affidavit, Bowen admitted to the crimes after being told that surveillance cameras captured the burglaries. The report claims that officers found the cuckoo clocks in her apartment. Bowen was arrested for second-degree burglary and receiving and concealing stolen property.